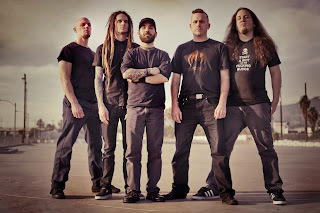 Murder Construct: la deathgrind band losangelina ha rilasciato un nuovo video per il brano The Next Life, tratto dal debut album del 2012 Results. Il video è stato diretto da Mitch Massie. Murder Construct: Los Angeles, CA deathgrind supergroup MURDER CONSTRUCT have just released a new music video for "The Next Life," a track from their blistering 2012 debut Results. The video, directed by Mitch Massie.